Owners of Mercedes BlueTEC diesel cars in 13 states have amended a class-action lawsuit filed in February, saying the company is illegally using a "defeat device" to cheat emissions testing. The company is heatedly denying the allegations. "We consider this class action lawsuit to be unfounded. Our position remains unchanged: A component that inadmissibly reduces emissions is not used in Mercedes-Benz vehicles," it said in a statement. The amended lawsuit charges that “in virtually every road test," emissions failed to meet the standards promised by Mercedes, which claims the BlueTEC is "the world’s cleanest and most advanced diesel." “Testing at highway speeds, at low temperatures, and at variable speeds, indicate a systemic failure to meet emissions standards. Low temperature testing at highway speeds for example, produced emissions that were 8.1 to 19.7 times the highway emissions standard,” according to the suit, filed Thursday in the U.S. District Court in New Jersey. The original and amended suits were filed by the consumer law firm Hagens Berman, which has an FAQ about the case on its website. 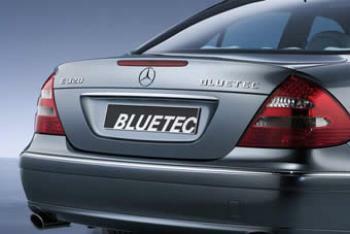 BlueTEC is a filter system which uses urea to help rid exhaust fumes of health threatening nitric oxides. It is fairly costly and used mainly in heavier vehicles such as Daimler's large limousines, sedans, or SUVs, which are equipped with powerful diesel engines. Mercedes competitor Volkswagen has been in crisis mode since last September when it acknowledged rigging exhaust emissions devices on 11 million "TDI Clean Diesels" worldwide.